Now thru Saturday, May 24th, you can save 10% on Kids Outerwear at Target. Simply use the Coupon Code TGTKIDS10 at checkout. 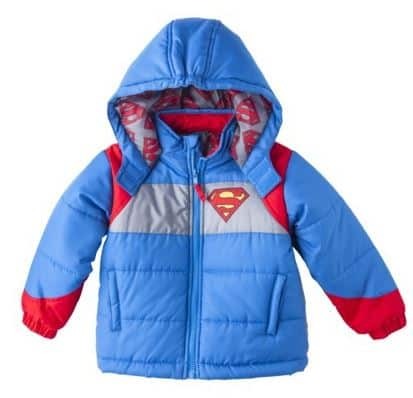 I am loving the Superman Coat (shown above) on clearance for $11.99 (reg. $29.99). Thats a savings of $18 !! Its never too early to start thinking about winter and/or rain coats for next school year! 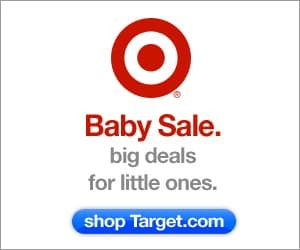 Be sure to stop by Target.com this week and take advantage of all these great baby deals going on thru next week.